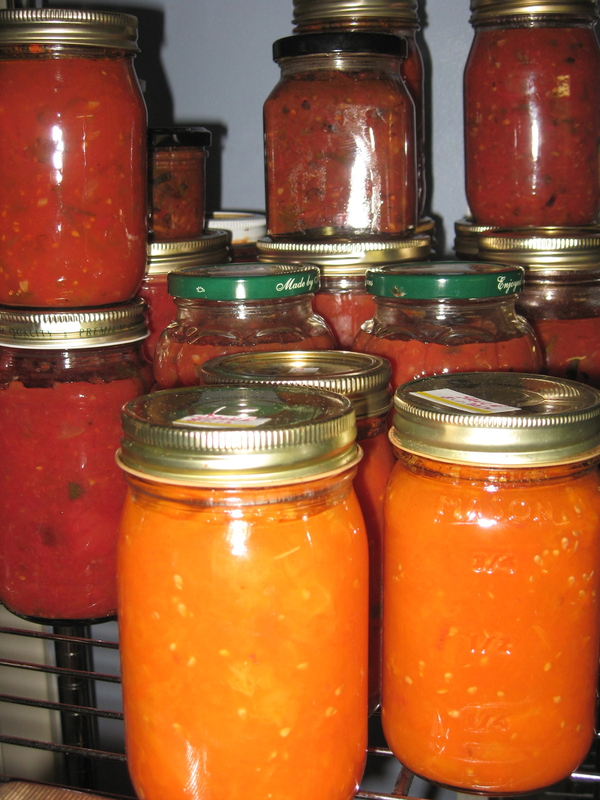 Canning steps for tomatoes and mixed tomato sauces — tomato and herb pasta sauce, salsa, tomato chutney, etc. Review canning process on videos and canning jar websites before embarking on this multi-step process. 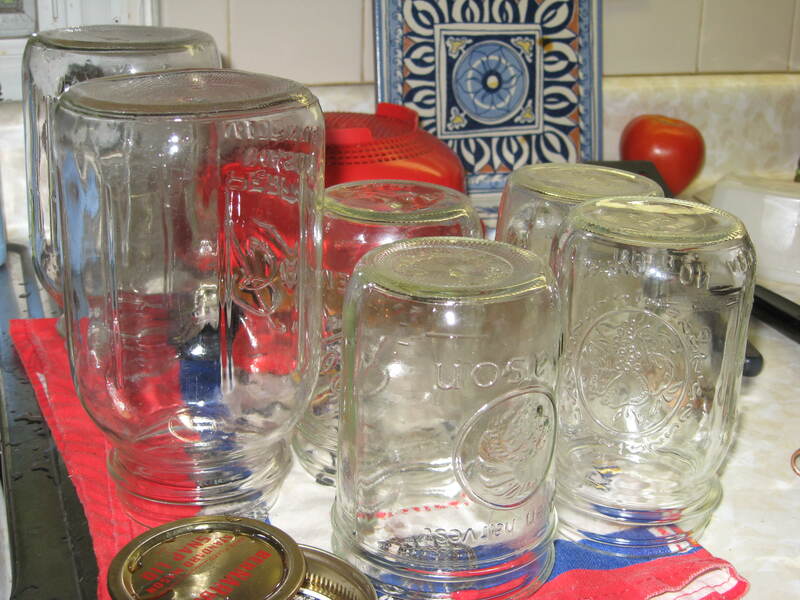 Start small and work up to production levels if you are new to canning and preserving food in glass jars. 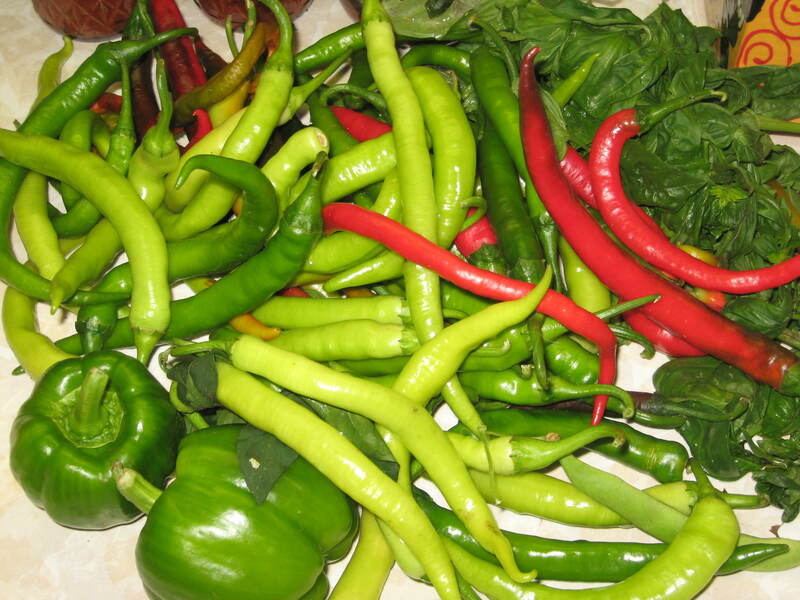 * Grow fresh produce. Harvest or buy at farm market. 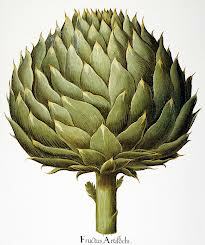 * Wash. Cut out bad spots, stems and hulls. Remove tomato skins if you prefer. * Wash the jars. Acquire lids and rings to match jar mouth. * Boil water and put in the empty jars and lids. * Boil water to cover tomatoes packed in the jars. 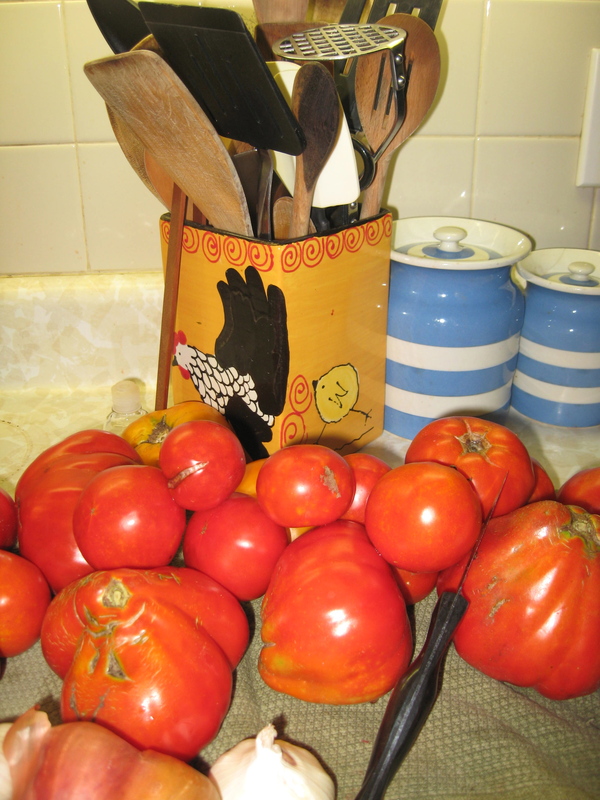 * Place tomatoes in jars (wide mouth jars are easiest) and push out air spaces with knife or spatula. * Don’t overfill jars. Food inside the jar should stop at least 3/4 to 1 inch from top lip. This is called the jar “head space” needed for processing period when the contents will boil and expand. * Add a little sea salt to each jar. 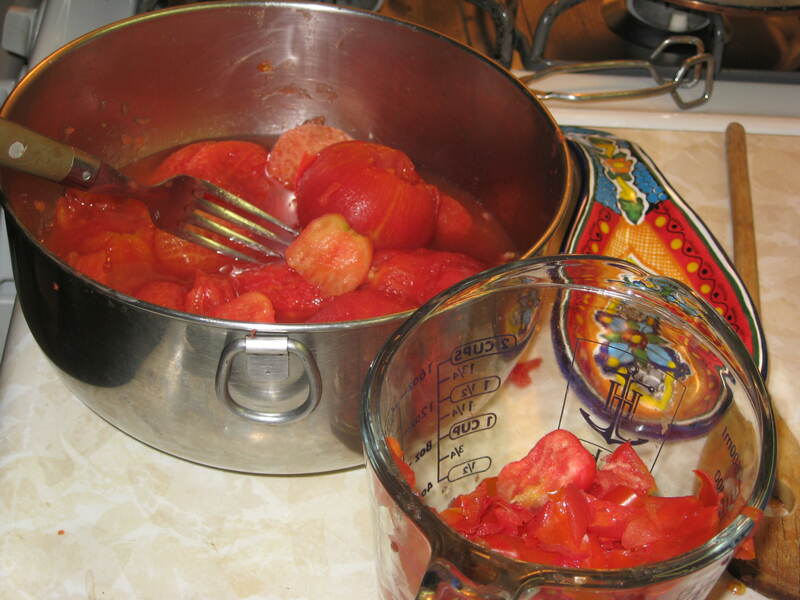 Cover tomatoes with boiling water just to 3/4 to 1 inch from top lip. 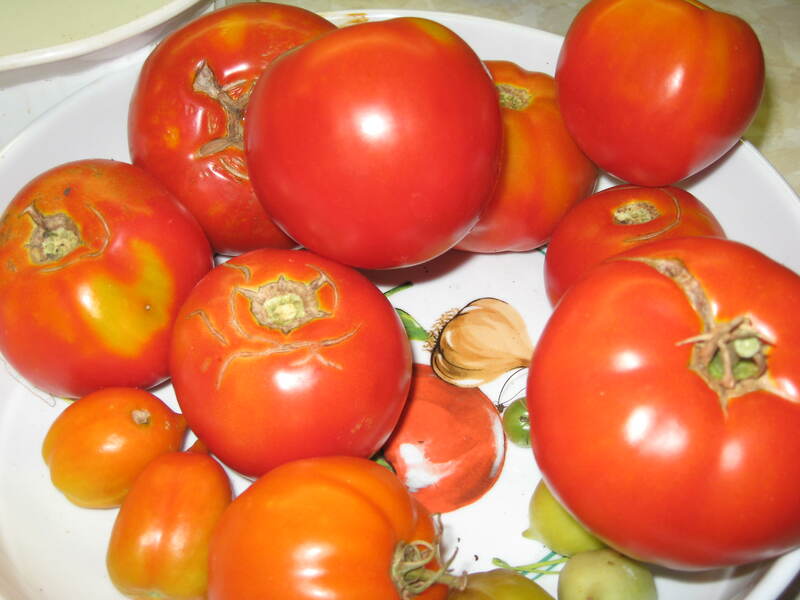 Adjust tomatoes in the jar so there are no air bubbles and hot water is below the head space. The hot water will spread the salt through the food. 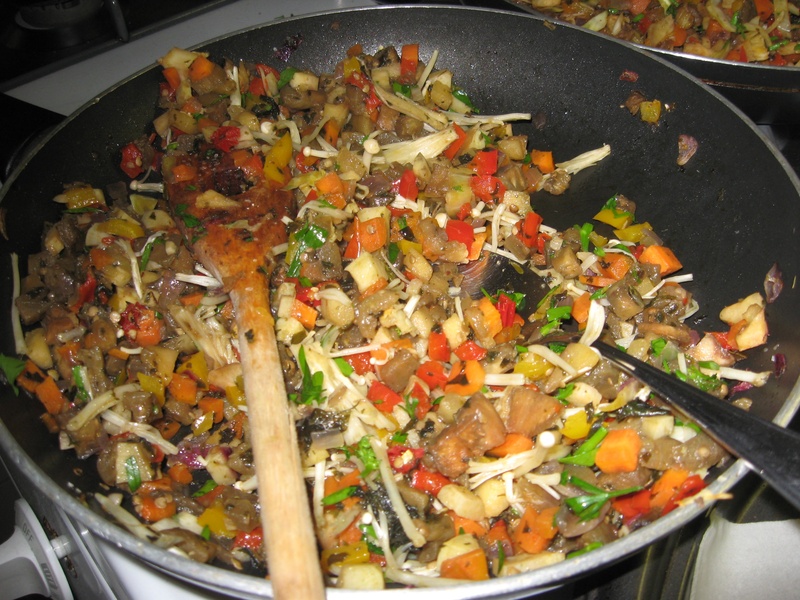 If you are making sauces or salsa, the salt and other seasonings would have been added during cooking. * With a clean tea towel, dip it in boiling water and wipe the edge of the jar, inside and out, until the entire top area of the jar and the head space area inside and out is perfectly free of food smears, seeds, etc. Re-wipe the jar top edge with boiling water on another area of the tea towel. With tongs, fetch a flat lid from the boiling water bath and place on top of jar. Holding the jar with your other hand, screw on the ring until it is secure, but not overly tight. * Place all the filled and sealed jars in a large pot about 1/3 filled with boiling water (a crab pot, kettle, soup pot, etc). The appropriate pot will hold about 6 to 8 quart jars. Add boiling water until the jar tops are just covered. Adjust heat and cook for 10 to 15 minutes. This is called the “boiling water bath” or “hot water processing”. This is not steam processing in a pressure cooker used for all other vegetables. 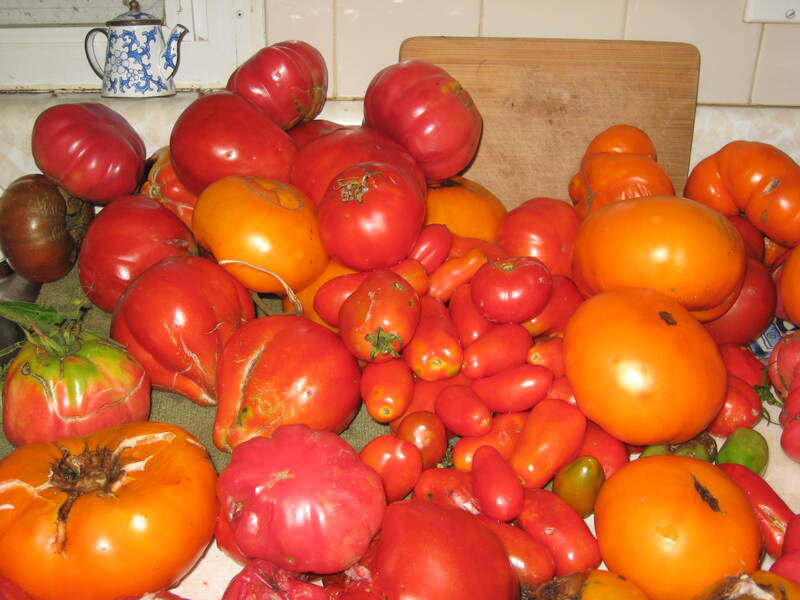 Tomatoes are unique that their acid content is high enough to ensure that hot water boiling is sufficient to safely preserve the food contents. * Please review the canning process on videos and canning websites provided by jar manufacturers. If you don’t feel comfortable canning, freeze the mixtures. It’s best to approach canning like changing a tire. Get someone who knows how to do it to show you. * Foods preserved in glass are lovely to look at, fun to eat and don’t rot when the electricity fails. 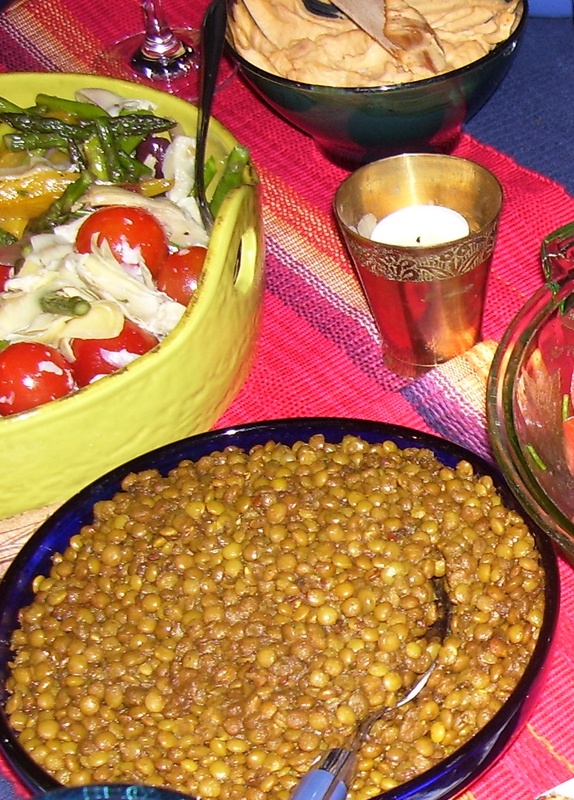 Pick over the lentils and wash in several changes of cold water. Put the lentils, onion, garlic, parsley, cumin, black pepper to taste, and 3 cups of water in a medium pot. Bring to a boil without allowing it to boil over. Turn the heat down to low and cover partially. Cook gently for 30 min. Add the salt and stir well. Cook, particlly covered, another 30-40 min, or until the lentils are tender. Stir in the oil. 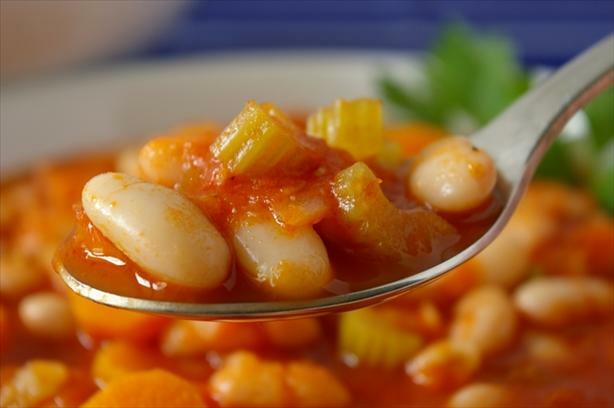 Serve hot or at room temperature, depending on the season. From Oaxaca, Mexico, as interpreted by Judith S. Markey, during a July 2005 class with Chef de la Vega. 10 tomatillos, boiled whole for 3 minutes. Take the husks off first. Drain after boiling. Throw all into a blender. Blend until mixture is smooth. Season with more salt or more cilantro, to taste. Keeps 2 weeks fresh in fridge. Or freeze in small containers. Iliana de la Vega is now sharing her culinary skills and knowledge at the Culinary Institute of America.